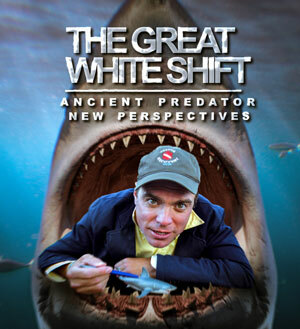 Witness, along with top divers, biologists and shark scientists, a pivotal moment in our understanding of the Great White. Feared, finned, driven to the brink of endangerment, Carcharodon Carcharias reveals long-held secrets. How is a straight-line mid-ocean intercontinental migration possible? Why do “shark walkabouts” happen? Why has mating never been seen? Finicky, elusive, curious, highly intelligent and with electrosensory systems, what we are only just beginning to understand about the Great White will astound you. Come along for a groundbreaking look at an ancient and amazing creature that has adapted and prospered through two mass extinctions and, today, has only one mortal enemy: us.